Keeping an eye on the playoff race, Srikkanth did not rule out the chances of there being a few surprises. Kings XI Punjab, who got off to a flying start this season have failed to keep up the momentum in the last few matches. The team slipped from third to fourth place on the IPL 2018 points table after losing two games since their intermediate break. The Ravichandran Ashwin-led franchise will next play bottom-placed Rajasthan Royals in game two of today’s IPL double-header. And a win will take them to 12 points, and they will be a couple of steps away from qualification. Ahead of the match, former India captain Krishnamachari Srikkanth opined that KXIP are in a tough spot having slipped down the table as far as making it to the playoffs is concerned. Keeping an eye on the race, Srikkanth did not rule out the chances of there being a few surprises. The 58-year-old also emphasized that other batsmen apart from KL Rahul and Chris Gayle need to fire, if KXIP fancy their chances of making it to the playoffs. Srikanth wrote in his column for TOI, “The over-dependence on their openers: Chris Gayle and KL Rahul has now become obvious. They need their other batsmen to fire and make it count. They do look a different side if there is a solid opening start; else they look completely vulnerable and exposed. 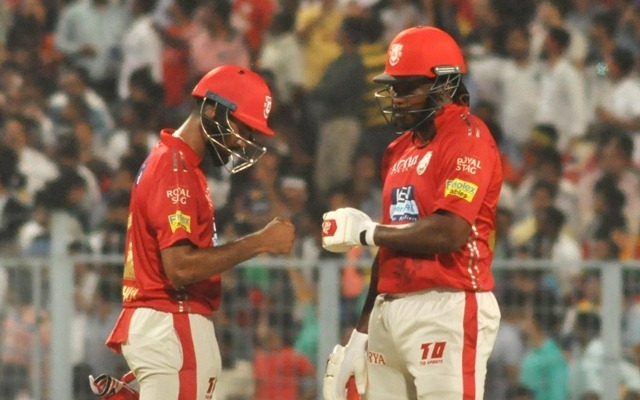 “The game against Rajasthan will present Kings XI with another opportunity to slowly put things back on track. Another area where they need to shore up is their fielding, too many easy runs given away in the field and catches going down has also upset their chances,” he added. Punjab will be up against Rajasthan Royals who are also in a desperate spot and they cannot settle for anything but a win. RR lost the last match after coming really close to the target and will want to make amends there as well. All in all, it is expected to be an exciting contest.